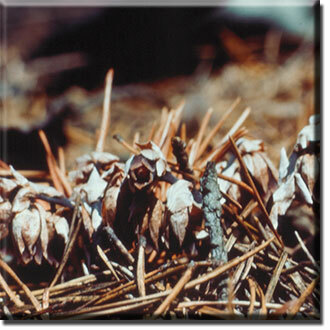 Monotropsis odorata, the Pygmy Pipes, is a small species of monotropoid that grows in pine woodlands of the southeastern US, mostly in the Appalachian Mountains. It occurs from Maryland south to Florida and east to Kentucky and Tennessee. This picture was taken by Dr. Gary Wallace in North Carolina.